Dr. Bruce Gipe graduated from the Loma Linda University School of Medicine. He did his internship at the Arrowhead Regional Medical Center and completed two residency programs: one at the Loma Linda University and the other at the Arrowhead Regional Medical Center. Then, he did a fellowship at the UCLA Medical Center. He is specialized in Pulmonology and board certified in Critical Care Medicine, Pulmonary Disease and Internal Medicine. 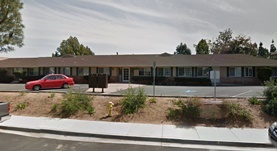 Dr. Gipe has been in practice for more than 20 years and is affiliated with the Fallbrook Medical Center. During his career, he has also contributed to 8 clinical research publications. Dr. Bruce Gipe has contributed to 3 publications. The cost and quality of hospitalists. Gipe, B. T.; Cost Qual. 2000 Mar. Was that a paradigm I felt shifting? Or, the practice of medicine by nurse practitioners. Gipe, B. T.; Cost Qual. 2000 Sep.
Gipe, B.; Ann Emerg Med. 2002 Sep.